My makeup, that is. 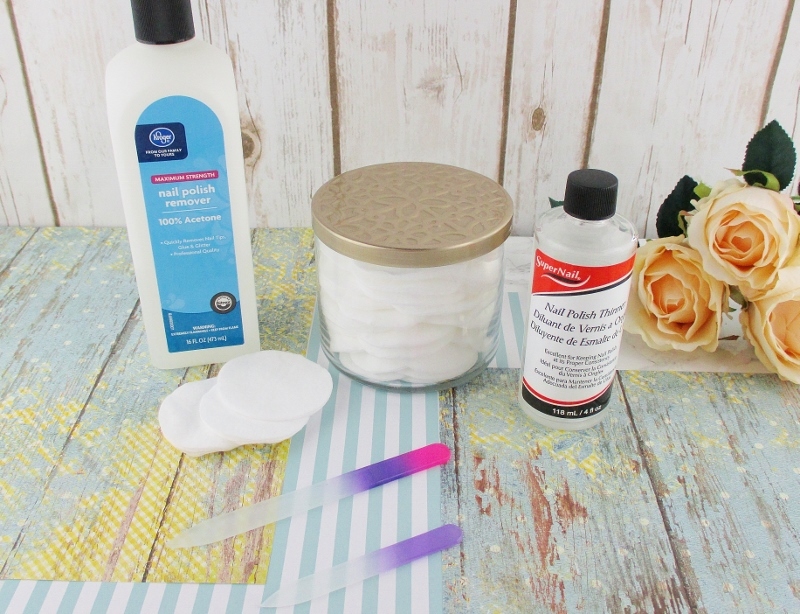 Below are my basic, can't live without makeup removal items. When it comes to makeup removal, I have a system. Eye makeup removal then face. Shiseido Facial Cotton is a must have for me and I buy package after package of these luxuriantly soft cotton rectangles. At $10.00 a pack, they aren't cheap but if you compare how much it costs to buy the same number of "premium quality" cotton pads or rounds from the drugstore, the price about evens out and in my opinion, the Shiseido Facial Cotton is worth every penny. Lancome Bi-Facil Double-Action Eye Makeup Remover, $30.00 is my hands down, long time favorite eye makeup remover. The two layer, slightly rose scented formula sweeps away the most stubborn eye makeup I can dream of applying without too much soaking, rubbing or tugging at my delicate eye area and it is so gentle that it never irritates my very sensitive peepers. There are makeup removers I can pay less money for but none of them are for me, the complete package this one is. I haven't had to buy a full size of this stuff for quite a while; I keep getting snack sized bottles so I'm happily working through my freebies. Bioderma Sensibio H20 Micellar Cleansing Water, $14.90 for 500 mL. I love this for removing makeup, as a toner and for quick, Lazy Girl Cleansing when I just can't be bothered to go to the sink at the end of a long day. I wish that Bioderma would release nationwide in more stores, making it more accessible and a bit less spendy. They really need to work on that. Neutrogena Makeup Remover Cleansing Towelettes, Twin pack is $12.49. These are my holy grail makeup wipes, I use them for pre cleansing, Lazy Girl Cleansing and of course, removing makeup swatches when I'm taking pictures. I also carry a travel pack in my purse so that I can clean off swatches after I've been cruising around in Ulta or Sephora. Or as everyone else calls them, Q-Tips. Yeah, yeah. I know. Never put anything smaller than my elbow in my ears. Bite me. I'm grown and I do what I want. Besides, I can't go around with wet, makeup crusted, waxy ears. I just can't. And if you think that I'm going to give up those delicious little eargasms from working that cotton on a stick in there, just right, you have another think coming. I buy both the standard Q-Tips Cotton Swabs and the Precision Tips and go through them at such a rate that it makes sense to buy the big, economy packages. Q-Tips are good for more than just cleaning out ears, tho. The swabs give nice swatch, I can apply eye shadow with them, clean up a big nail art mess, gently pick up and roll off my skin any fallout from my eye shadow... I could go on and on. Q-Tips Precision Tips are nice for helping me shape my eyebrows and for cleaning up not-so-precise lip colour applications or fixing little eye liner mistakes. I store my Q-Tips in repurposed candle jars; each variety has it's own jar so I'm not searching for what I want. Let's face it, We all have to do it. Might as well use stuff that makes my skin happy and smells nice, too. Soap & Glory Flake Away Body Polish, $15.00. This is some of the best smelling scrub I've ever used and it has enough scrubby bits to really grind off that dead, dry skin and the oil in the scrub softens my bod but doesn't leave me slip-sliding away. 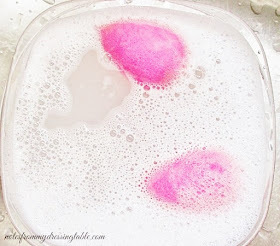 LATHER Lavender and Olive Foaming Body Scrub, $22.00. This stuff is lovely. Just a little goes a long way and the natural, gentle scent and conditioning ingredients makes this a spa treatment in my very own shower. And let's not forget about my delicious Farmhouse Fresh Sweet Tea Whipped Body Scrub, $34.00. This scrub is so effective, softening and it smells like tea and sugar. What a nice way to wake up, in the morning, am I right? Gilette Venus Flexiball Razor With Refills, about $15.00. This razor gives me a silky-smooth close shave and the head flexes and swivels so that I'm not dragging a rigid razor head over and into curves and hollows. I've depended on Venus razors for a long time and I don't use any other brand. Of course, this means going into the poorhouse buying refill cartridges. Why. Why the hell do girl razor refills have to be so damned expensive? With lotions and body butters. Without them, this old bod would look like a dried out alligator bag. Curel Ultra Healing Lotion for Extra Dry Skin, about $8.00. This is the lotion for my hands. It never fails, never lets me down. Now that it's fall, the weather is cooling and the humidity has swept out of my state, the air is dry as paper and it is sucking every last bit of moisture from my skin. I need deeply hydrating lotions and butters to keep me from total desiccation. Think I'm joking? One lotion that I'm really enjoying, right now is Soap & Glory The Righteous Butter Lotion, $12.00. This lotion is lovely and hydrating and it smells so good! 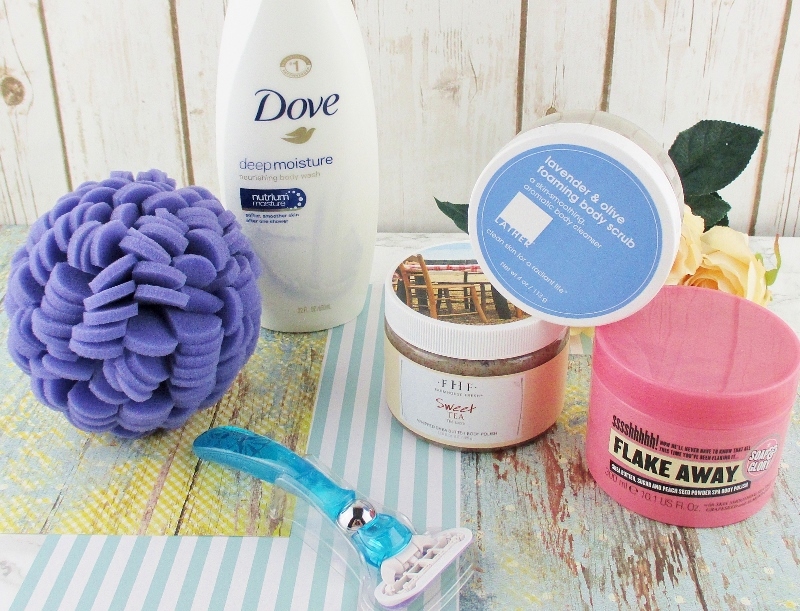 When I want deeper moisturizing, I reach for body butter. I use it, alone or when I'm really dry, I layer it over lotion for an intensely hydrating one-two punch. Soap & Glory The Righteous Butter is a thick, rich drink for my parched skin. Of all of my body butters, this is my favorite. I can't help it, I'm over the moon for that scent! Oh, wait. Wrong brand. But the fact remains, a girl's gotta stay fresh and dry. Especially in my neck of the woods. Degree MotionSense Dry Spray is a game day player. 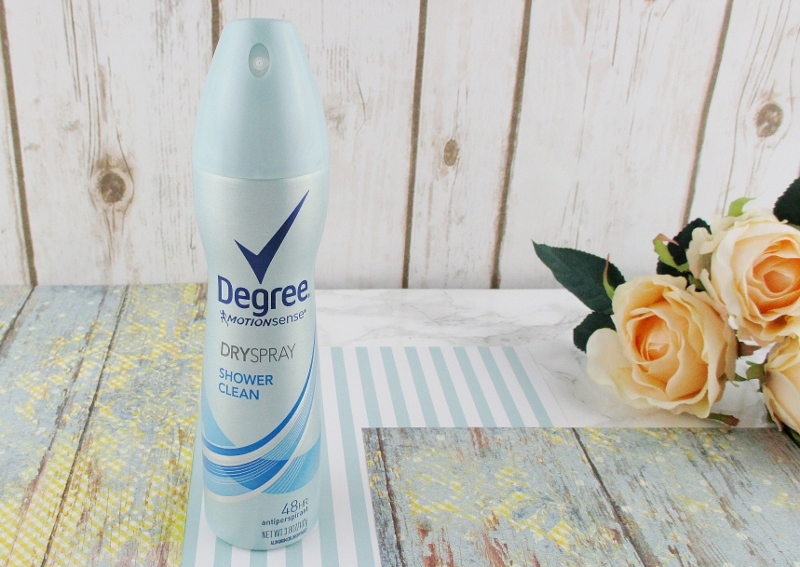 I know what they say about antiperspirants and I do have a natural deodorant that I like and use, sometimes but I rely on my Degree. Have you tried the Foreo Issa Hybrid Sonic Toothbrush? The brush head has a mix of polymer and silicone bristles that get my teeth sparkling clean yet is super gentle to my gums. It charges up fast and the charge lasts a long time so I don't have to be constantly plugging it in. Flossy picks are a godsend for my small jawed self. Flossing the old fashioned way is difficult and uncomfortable for me. Pre strung, small enough to fit all the way back to my far flung molars then all the way around to finish the job in no time at all, flossy picks have changed my dental health life. I buy big packages of whatever is on sale or buy one-get one. In my experience, they are all pretty much the same. Colgate Optic White Toothpaste Sparkling Mint, about $4.00. This toothpaste gets my teeth sparkling clean, brightens them (let's get real, it doesn't make them blinding white) and leaves my mouth feeling clean and fresh. It's good stuff. 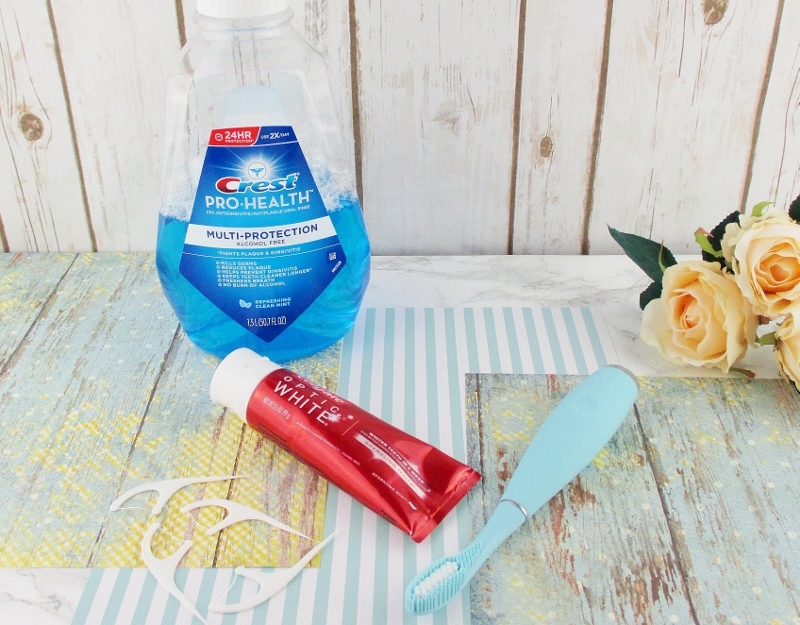 Crest Pro Health alcohol free mouthwash helps me keep my gums healthy and my breath fresh. Seriously, this stuff cuts even the worst coffee breath, something I need with my caffeine addiction. Yep. It's true. I need it. I can't be without it. My lips have to have it, day and night. 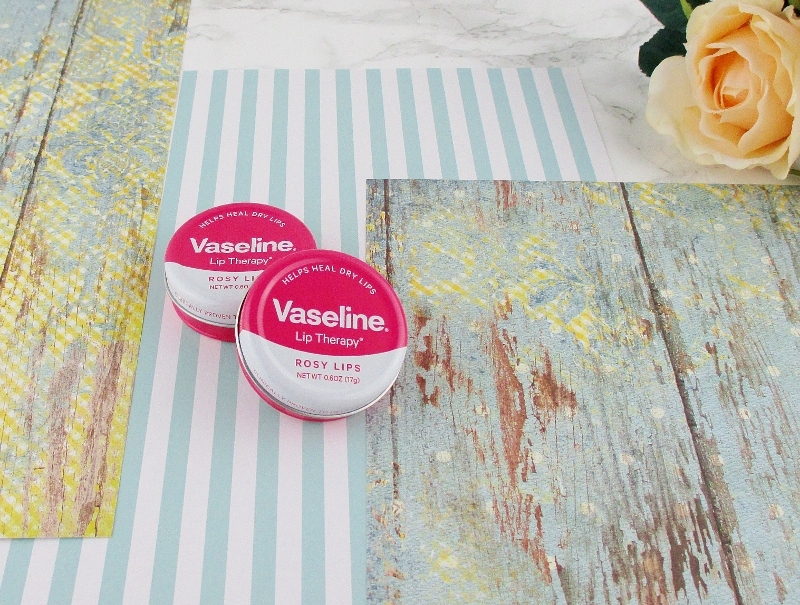 Vaseline Lip Therapy Rosy Lips, under five clams in most stores. What else can I say about this stuff that I haven't, already. It's splendid and if it's ever discontinued, someone will have to deal with me. I have quite the collection of implements and products for my nails but these are the basics that I and everyone needs for our best looking nails. Good Old Acetone is dirt cheap, any brand from any store will do. Acetone removes polish swiftly and efficiently and it's crucial for soaking off glitter polish or gel nails. Yes, it's drying but a quick hand wash and the residue is gone and a little lotion or cuticle oil and nails and skin are looking and feeling fine. Which leads me to Nail Polish Thinner. Gentle reader, if there is one thing about which I must be adamant it is that you never. Never use nail polish remover or acetone to thin or revive old, too thick or gloopy nail polish. Acetone and remover may thin or appear to bring life back to that bottle of colour for a while but it will do what it is meant to do, destroy your nail polish. Do yourself and your pretty polish a favor and buy a bottle of thinner. A few drops, a good shake-shake-shake and you're back in business. Cotton rounds. I like the smooth surface rounds that don't leave annoying fibers behind. I go through tons of them so I don't really care about brand and I shop sales so that I can stock up and not worry about running out. Let's talk about nail files. I have pretty nice nails and one thing that helps me keep them that way is glass nail files. No other kind of nail file touches my nails. A high quality glass file will swiftly and cleanly file down, shape and bevel nails leaving them smooth, snag free with polished free edges that are less vulnerable to moisture incursion. A good file should have a rougher side for heavy duty work and a fine side to refine, polish and finish. Glass files are easy to keep clean and they can be sanitized, if you want to loan your file to to someone else. Good glass files, provided that you don't drop and break them, like this klutz is known to do, will last you for years, making them an excellent investment. One way that you can tell that you are getting high quality, etched files is to look at the file at eye level. There should be a small step down from the handle area to the level filing surface. If the filing surface is raised above the handle and or is domed, put the file down, turn around and walk away. That file has a sprayed on coating that will not last very long and it is so rough that it will likely harm your nails. Check out Aveniro for beautiful Czech glass nail and pedicure files. Two are shown in the image above and I also shared my entire collection of beautiful Aveniro files and buffers on Instagram. And... I forgot to put a bottle of cuticle oil in my picture. Any good quality oil will do. Jojoba, argan, sweet almond, avocado - mmm... avocado... - or a blend. You can add a little essential oil, if you like. If you have a facial or hair oil that you really enjoy, use some of it on your cuticles. Trust me, they will be gorgeous! And your nails will look better and be more flexible and stronger. Sorry about the idiotically long post but after my last, mercifully brief one, I had bounce back. Also, I'm trying something new. Headers. They are supposed to make a post more readable and enjoyable. We'll see. I'll keep playing around with them. They may or may not become a fixture. If you have an opinion or input, I'd love to hear it. 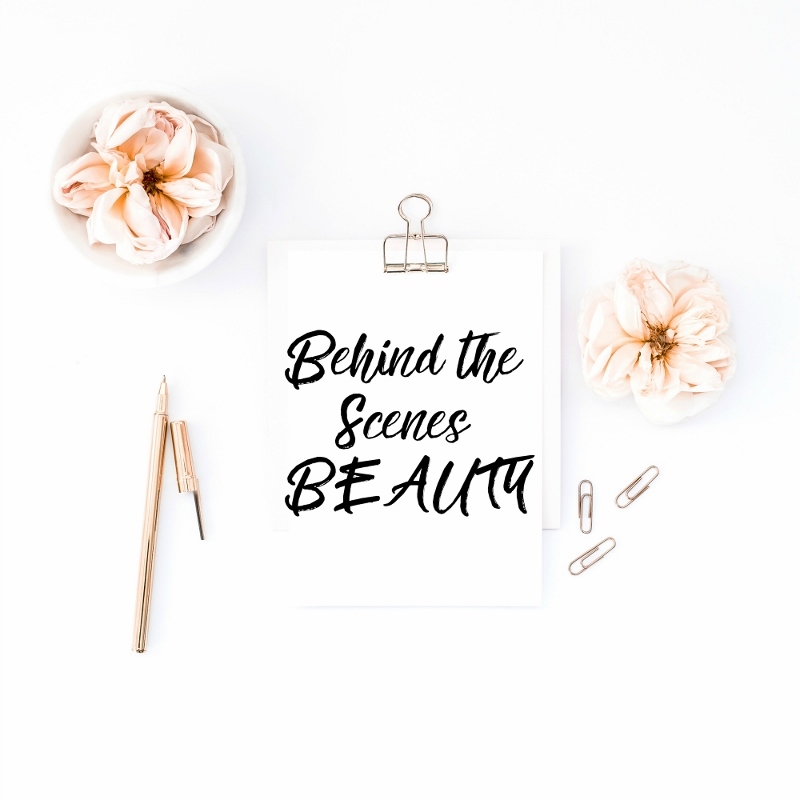 If you enjoyed this insane vanity exercise of mine, please don't forget to scroll to the end of this page and check out my fellow Makeup Wars bloggers' favorite behind the scenes beauty products. There are share buttons, down there, too, if you are so inclined. Definitely fantastic staples! 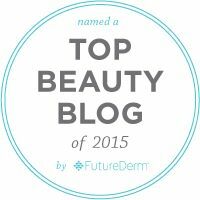 Bioderma is definitely one of mine as well! LOVE and use all of these also! 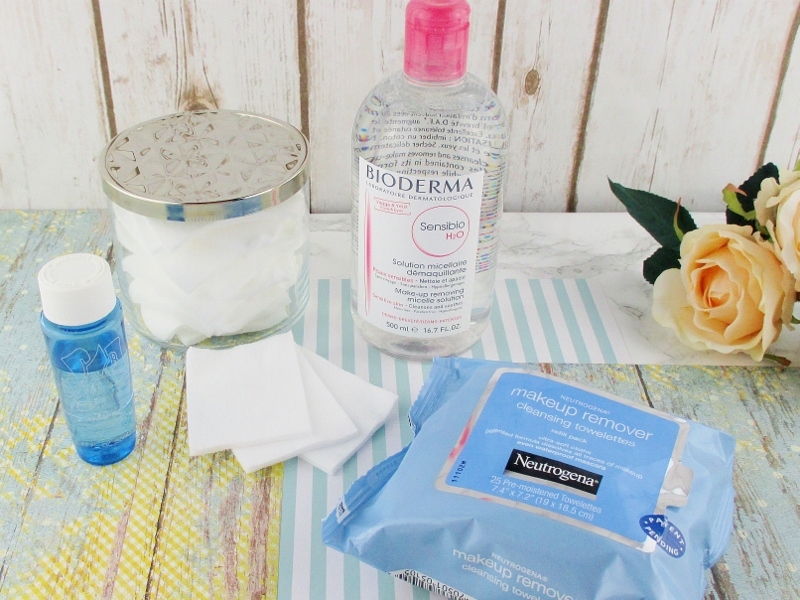 I forgot to talk about my fave facial wipes but the Neutrogena are definitely up there! I forgot to add some favorites, too. I was reminded as I read everyone's posts. I kept asking myself how could I forget that? And that? And that!!!! My post would have been twice as long. I need to try that toothbrush. This post was great to see! Definitely going to check some of them out now. Love how complete you are in this post. I love my Bioderma too but I'm switching it off with Garnier now too especially when I can find a good price on the Garnier. The Shiseido facial cottons are top notch. Another item I love on here is the Gillette razor but the refill prices are ridiculous. I tried my husband's and it just wasn't the same.